Jobs across all industries will require a foundational 21st century skillsets such as digital fluency, innovation excellence, employability skills. The task at hand is to create equitable access to education and skills that are relevant and contextual not only to the jobs of today, but also those that are resilient for the workforces of tomorrow. In May 2017, CECP: the CEO Force for Good launched the Systemic Investments in Equity, Talent, and Tech Accelerate Community. Led by Dr. Kamau Bobb, Georgia Tech, the Community convened 13 companies around investments in STEM education and tech talent pipelines using a systemic equity lens. Why is our intentional focus on equity, and not equality? The working group believes equity is more fundamental than equality. It is possible to have equal distribution of something and still have unequal outcomes because of inequity. Having a computer science class, for example, in every high school is the equal access of a course. If the schools themselves are not equally resourced and capable to deliver that course, the learning outcomes will not be equal. The course has been equally provided, but the education system itself is inequitable. Tata Consultancy Services (TCS) is seeking to adequately prepare students for what might lie ahead by adopting a multi-pronged, strategic, and systematic approach to support this transition into the new world of work. They have launched programs like IgniteMyFuture in Schools, which will engage 20,000 teachers and more than one million students over the next five years, and is offered free of cost to them and their school districts; and TCS goIT – a hands-on, mentor led program, which introduces students from underrepresented communities to the power of technology in solving real world problems. Intel Corporation has made an intentional effort to partner with Historically Black Colleges and Universities (HBCUs). The Intel HBCU Grant Program is a three-year, $4.5 million program to encourage students to remain in STEM pathways, supporting students through scholarships, mentorships and a focus on workshops and activities that bring HBCUs and the technology industry together. The participating HBCUs include Florida A&M University, Morgan State University, Howard University, Prairie View A&M University, North Carolina A&T State University and Tuskegee University. The collaboration focuses on ensuring students are prepared with the relevant skills to enter the tech workforce. This program is part of Intel’s $300 million Diversity in Technology initiative, which supports a goal of reaching full representation of women and underrepresented minorities in the U.S. workforce by the end of 2018. For more than 100 years, the GE Foundation has actively supported efforts to create a high-quality education pipeline for all students. Through its signature education and skills initiatives – Developing Futures™ and Developing Skills™ – the GE Foundation seeks to empower all students aged 14 to 24 to become globally productive citizens by providing access to learning experiences necessary for the workforce of tomorrow and addressing the anticipated global shortfall of 45 million workers in 2020. Through its Brilliant Boston initiative, the GE Foundation is working to bridge the gap between education and industry, classroom and career, and the economy of the future and the skills of today. Collectively, these efforts are preparing students with the skills to become the critical thinkers, problem solvers, and innovators of the future. Corporations across the country are clamoring to find innovative ways to ensuring that American graduates are prepared to enter the workforce. Research shows that STEM and workforce/employment are the fastest growing focus areas for companies’ social strategies; between 2014 and 2016, the number of companies noting STEM as a priority focus area rose by 6.7 percent; those mentioning workforce/employment rose by 6.7 percent. For corporations stateside, continuing to rely on predominantly white and Asian males is untenable. In addition, the social pressure for diversity in such a critical sector of American life is only likely to increase as the ethnic diversity of the country continues to increase. According to the US Census, by approximately 2040, the majority of the population of the United States will not be white. People of color—Asian, African-American, and Hispanic people—will make up more than half of the total population and nearly 60 percent of children under 18 years of age. What has been critical to making inroads is understanding that students must have an empathetic comprehension of what technology looks like--how to apply and innovate it so they can play an active role in shaping the tools of the future. What the Community found was that corporations are engaging in the equity, talent, and tech effort on a spectrum. There is an ever-present tension between self-interest to develop their talent pipeline and social responsibility to support the community. Companies need to recruit and retain talent. Companies also invest in informal learning programs for K-12 students as part of social responsibility initiatives, which simultaneously serve as long-term investments in a more diverse workforce. While the range of investments made by companies is truly vast, there is room for improvement. 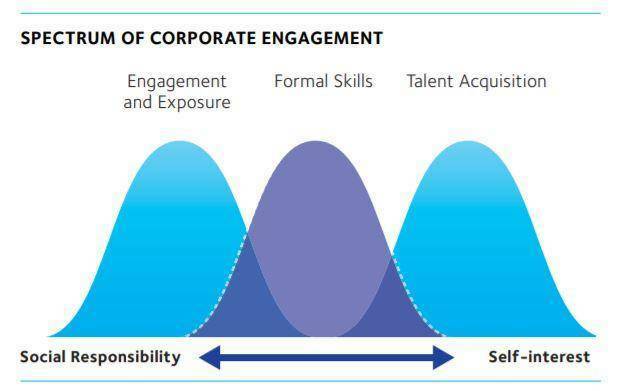 One key opportunity is that corporate-sponsored STEM programming must be more aligned across internal departments and not driven in silos by the corporate social engagement department, human resources, or talent departments. 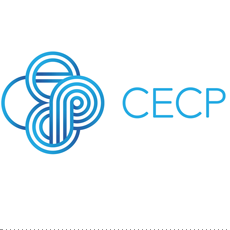 If your company is interested in learning more about this work, we invite you to visit cecp.co to learn more about CECP. During 3BL Forum, CECP will host a pre-conference workshop that will bring together investor relations and corporate responsibility professionals to explore 'the new normal' of unlocking value creation through a long-term lens. The workshop features a presentation by a CEO who has changed a company's approach from a focus on quarterly earnings calls, and will also provide an inside perspective on the decision-making to focus on the long-term, challenges and barriers and transformative opportunities. Receive a 25 percent discount using this code PUNDIT2018VIP when you register here. Kelli is the director for U.S. Education for the GE Foundation in Fairfield, Connecticut. Her responsibilities include managing educational partnerships which work with GE communities and leveraging best practices to implement educational strategies nationally. Kelli joined GE in 1995 as an investment representative with GE Asset Management. As the Head of Workforce Effectiveness, Balaji oversees the functions of Human Resources Business Consulting, Diversity & Inclusion, and Corporate Social Responsibility for over 35,000 employees of Tata Consultancy Services in North America. His primary responsibilities include coaching sales and business teams for business growth, driving talent management and employee retention initiatives, architecting the corporate sustainability strategy, and promoting an inclusive culture. Barbara H. Whye is Intel’s Chief Diversity and Inclusion Officer and Chief Human Resources Officer for the Technology, Systems Architecture and Client Group (TSCG), the company’s largest business group. A champion of Intel’s culture of inclusion, with 21 years of experience, she develops strategies that accelerate progress and integrate diversity and inclusion across the ecosystem to enhance innovation and drive business results. The CEO Force for good (CECP) is a CEO-led coalition that believes that a company’s social strategy — how it engages with key stakeholders including employees, communities, investors, and customers —determines company success.